Last week I worked as guide and interpreter for businessman from Ukraine. 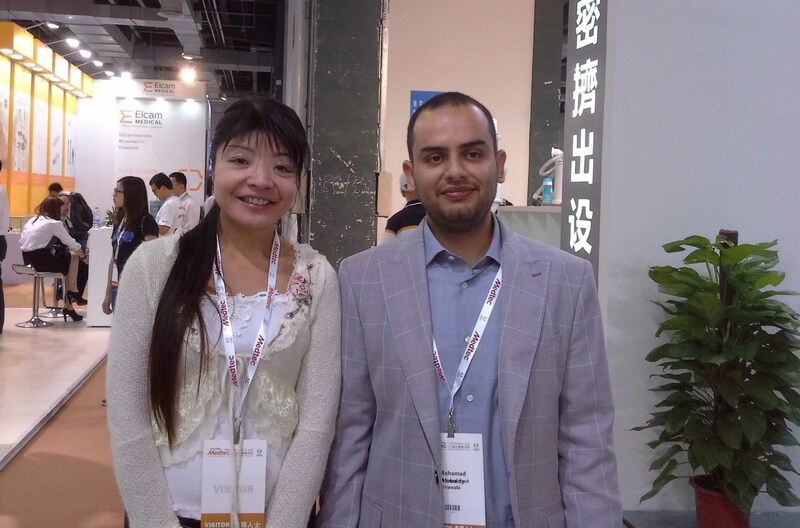 He is working for medical company and was looking for IV-drip bottle suppliers in China. He choose to come to China, because he saw add for special fair for his products in Shanghai. This was his first time for him in China. He asked me to work for him as his guide and interpreter for the whole 2 weeks he was in China and together we visited fair. Our main aim was to meet with companies who could offer good products for a good price. We talked with several companies and for companies that looked promising I made an appointment for my customer to meet the company so that we could see their working process. So At the end of our day at the fair we left with 10 appointments in Shanghai and Shanghai area. Direct after the fair we visited all these companies and finally my customer choose the 2 most promising companies and we go there for a second meeting. So when he returned home to Ukraine my customer had agreed with 2 suppliers to send him some sample products that he can test in his country. In meantime I also arranged some appointments for him with universities and some agencies that could help him to find some student who like to go to Ukraine to work for his company as part of their study. I think we worked in a very efficient way so that my customer could fully focus on talking with his possible suppliers. Maybe I can also offer you this service for the products of your company. Please do not hesitate to contact me if you have any questions. I would love to help you to find your way in China. Tags: Efficient way to explore Chinese IV-drip bottle market.